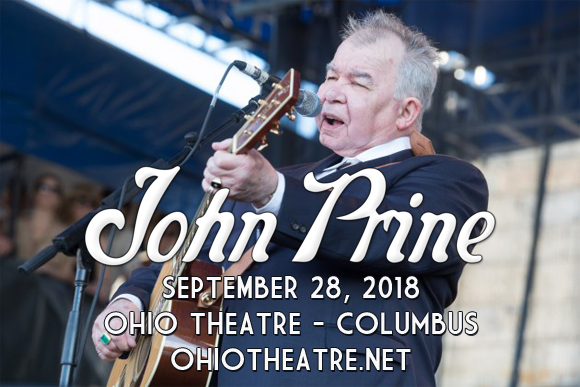 Grammy Award-winning musician and one of America's greatest songwriters, John Prine, comes to Ohio Theatre – Columbus on Friday 28th September 2018! Promoting his celebrated new album, Tree of Forgiveness (which is his first originals album since 2005's Fair and Square), Prine is nothing short of phenomenal, particularly for a man in his seventies! You won't regret your choice to see this bonafide country folk legend, so book your tickets now for an unforgettable night of music! John Prine is widely regarded as one of America's best songwriters. An influence on a number of other great songwriters, including Bob Dylan, Johnny Cash and Roger Waters, Prine began his career in the 1970s as a staple of the Chicago folk circuit when he was “discovered” by fellow country folk singer Kris Kristofferson. In 1971, Prine released his eponymous debut on Atlantic Records and enjoyed instant critical acclaim. The album launched the singles "Illegal Smile," "Sam Stone," "Angel from Montgomery" and "Paradise," which soon became signature songs of his. His success continued throughout the 1970s and '80s, and in 1984, Prine started Oh Boy Records – his own record label on which he released most of his subsequent albums. Having been nominated twice previously, Prine won his first Grammy Award in 1992 for the album Missing Years (1991). 2005 saw Prine earn his second Grammy Award for Fair & Square (2005), which won the Grammy Award for Best Contemporary Folk Album and showcased a new sound for Prine, whose voice had deepened following his battle with squamous cell cancer in 1998. In 2015, he was honored with the Grammy Awards Hall of Fame Award. His most recent album, Tree of Forgiveness, was released in April 2018 and debuted at number five on the Billboard 200 – his highest ever ranking on the chart.